If owning a house is one of your ultimate dream for your family, this is not impossible now even if you are working and earning a minimum salary. 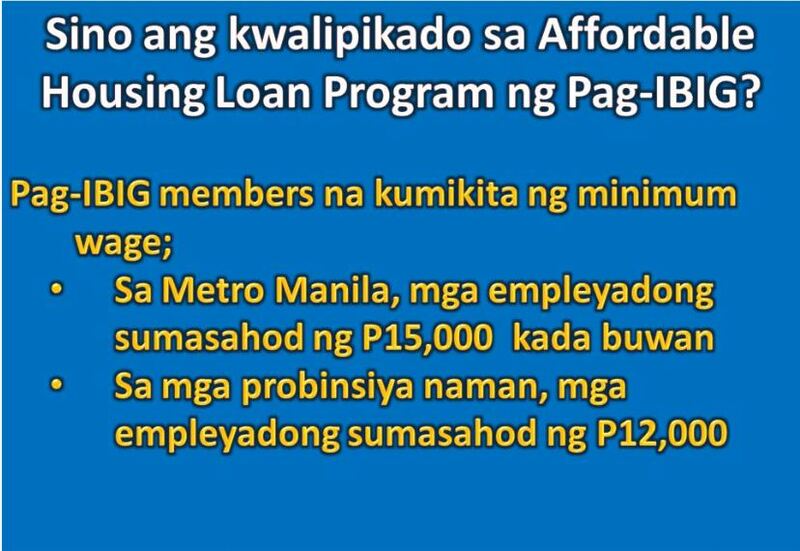 This is because the Pag-IBIG is offering lowest-ever three 3% housing interest rate to minimum-wage earners. According to Cabinet Secretary and Pag-IBIG Chairman Leoncio B. Evasco, Jr., Pag-IBIG Fund Board of Trustees is happy to announce that the proposal for lowering the interest rate under Pag-IBIG's affordable housing is already approved. 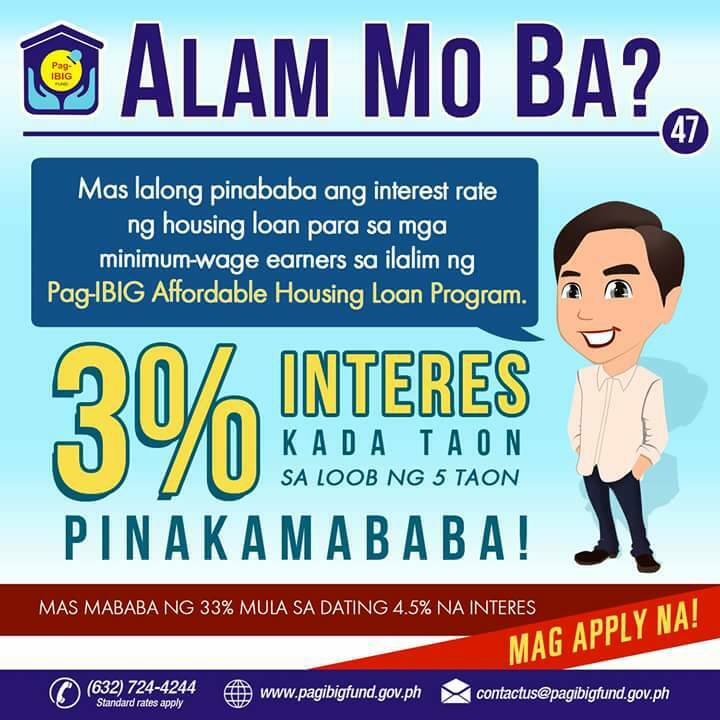 It means, only 3% will be the interest of Pag-IBIG housing loans of minimum wage earners. Evasco said this would allow more opportunities for low-income workers to realize their dream to own a house to call their own. The 3% rate is 33 percent lower than previous 4.5 percent interest under the Fund’s Affordable Housing Program (AHP). Minimum-wage workers in the National Capital Region not earning more than P15,000 gross monthly income, and workers in other regions with a gross monthly income of P12,000 are eligible to avail of the new interest rate for a loan not exceeding P450,000. 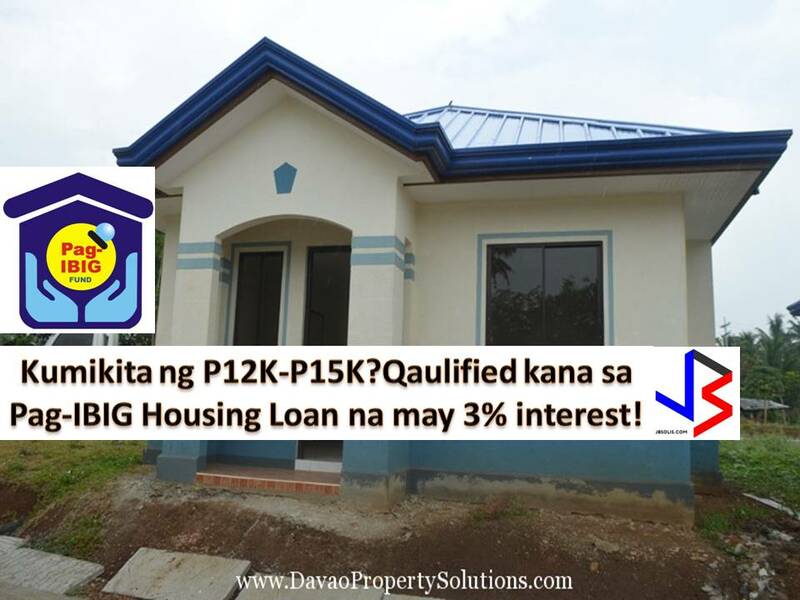 Read Also: Pag-IBIG Housing Loan Application Available Online. According to Pag-IBIG Fund Office in Charge Acmad Rizaldy P. Moti, it was directive of President Rodrigo Duterte that housing loan interest rate under the program should be reduced. This is to give the underserved sector equal access to housing opportunities. 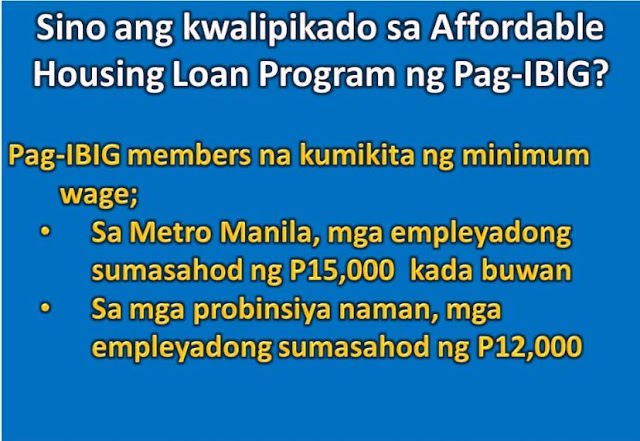 So if you are minimum wage earners and interested to apply for a housing loan, do not hesitate to inquire and visit the nearest Pag-IBIG office in your area. Here are Pag-IBIG directory website nationwide.